We are dedicated to fighting for the legal rights of Wichita injury victims. Injured? Text or call (888) 687-2400. Injured Kansans have collected over $82,000,000 with the help of our lawyers. My daughter Anne was involved in a car wreck. I thought the insurance company we were dealing with was going to take care of us. With Patterson Legal Group, I felt very protected and very safe, they’re the Good Guys. I was doing everything I could to avoid a direct head on collision. I needed someone to guide me through because you’re dealing with insurance companies and doctors. The communication between the firm and myself was dependable and consistent. You'll Get the Entire Team. Kenton Wirth, of counsel with Patterson Legal Group, represents our worker’s compensation clients. With an impressive 28 years worth of experience, Kent has heard hundreds of workers compensation appeals since his election as one of the original members of the Worker’s Compensation Board in 1993. 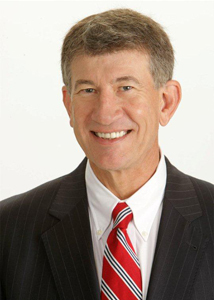 After 16 years as a board member, he then became an attorney for the Kansas Workers Compensation Board and continued growing his already extensive knowledge of workers compensation law. Gary Patterson is the managing member of Patterson Legal Group, LC and has represented injured people for over 20 years. Gary grew up in Savannah, Missouri, and earned his undergraduate degree at Missouri Western State University in St. Joseph, Mo. He was awarded his master’s degree in criminal justice at University of Central Missouri. Prior to attending law school, he worked as a probation and parole officer for the State of Missouri. 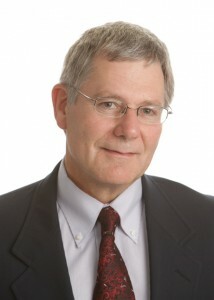 Carl Wagner is a skilled Wichita personal injury lawyer with over a 100 jury trials under his belt. In addition to Wichita car accident cases, Carl handles property damages, business and homeowners insurance claim cases. 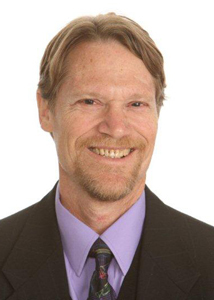 He served as an adjunct professor at Wichita State University, teaching civil litigation and legal skills. Carl is married to Kathy Wagner and is a proud father. Injured victims receive an average of 3 1/2 times more money before legal fees when they hire a lawyer to defend their rights. *Paying for Auto Injuries, Insurance Research Council. The National Trial Lawyer’s Association (NTLA) select only 100 attorneys per year from each state to receive this prestigious award. NTLA recognized the team at Patterson Legal Group, LC among the Top 100 Trial Lawyers in the state of Kansas. The Multi-Million Dollar Advocates Forum (MMDAF) is limited to attorneys who have won multi-million dollar verdicts, awards, and settlements. Fewer than 1% of U.S. lawyers are members of this group. The forum also allows our team of Wichita personal injury lawyers to give clients access to MMDAF’s national network of experts and advocates. Avvo is a consumer rating system that ranks lawyers in the Wichita community and beyond. You Don’t Pay Unless You Win. Ready for help from our team? Find out if our team can help, contact us for a free case evaluation. © 2019 WichitaLaw. Patterson Legal Group, L.C.